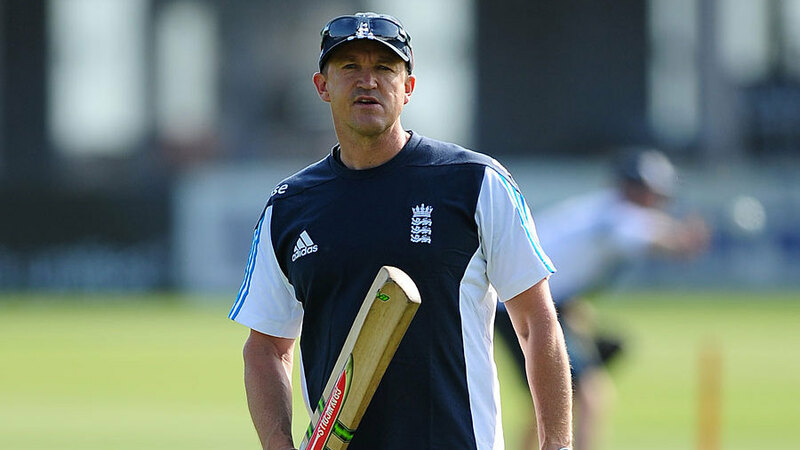 Andy Flower, the former England head coach, has confirmed his involvement in the inaugural Pakistan Super League, and will join the Peshawar Zalmi franchise as their batting coach with the full blessing of the ECB. Flower, whose England Lions squad yesterday won the fifth and deciding match of their Twenty20 series against Pakistan A, is taking on the role with the backing of Andrew Strauss, who has encouraged a more inquisitive attitude to overseas Twenty20 leagues since taking over as the director of England cricket. "I've been approached to do some batting coaching for Peshawar, one of the franchises in the new Pakistan Super League," Flower told ecb.co.uk. "I'm looking forward to doing something different. "I've chatted with Andrew Strauss about whether that's okay from an ECB perspective and he says it is on the basis that it's good for our English coaches to get out and about amongst some of these Twenty20 franchise competitions, to learn what's happening outside of the domestic game in England, to interact with some of the international coaches and players, and to bring some of that knowledge back into our game in England." The draft for the tournament takes place on December 21 and 22, while the event itself takes place in Dubai and Sharjah from February 4 to 23. The three-week duration, Flower added, meant that the ECB were comfortable with him taking leave for the event. Flower's playing career for Zimbabwe included three tours of Pakistan, one of which, in 1998-99, resulted in a rare overseas series win, and he expressed his disappointment that the tournament couldn't be held in the country itself, due to ongoing security concerns. "I toured Pakistan a number of times as a player, and I think it's really sad that we aren't playing international cricket in Pakistan," he said. "Of course there are good reasons for that but the sooner we get back playing in Pakistan the better. "I really enjoyed my tours anywhere in Asia and Pakistan was no different. We toured some fascinating places. Obviously the main cities but also we got out to Peshawar, we played a Test up there, we also played in Quetta, and I always found it fascinating observing another culture. "In this instance I think I'm really going to find it interesting being in amongst a group of Pakistani players and coaches, with a few international players there. I'm really looking forward to seeing how they do things, learning about them, and that should be a fascinating aspect of the three weeks or a month that we're together." Flower will be working alongside Mohammad Akram, the former head coach of Pakistan's National Cricket Academy who has been appointed as Peshawar's head coach, but he is one of several overseas imports to the tournament's coaching set-up. Dean Jones, the former Australia batsman, has confirmed he will be head coach of the Islamabad United franchise, while Mickey Arthur, the former South Africa and Australia coach, will be in charge of Karachi Kings.